Women have been trying to wear men's clothes for ages and seriously, how many of you have found it extra cozy to slip your man's tee shirt or hoodie on? And what about the boyfriend jeans style for ladies? Or how about when it was popular to wear the top to your guys pajamas? 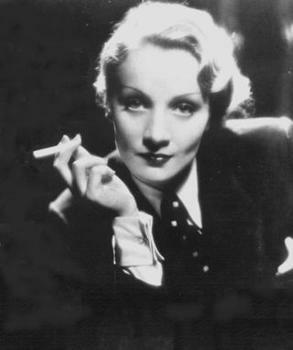 James Brown sang "It's A Man's World" & I guess he was on to something, as women have been trying to incorporate the power status of their male counterpart's attire into their wardrobe since the 1920's when vintage silent film star Marlene Dietrich frequently wore tuxedo's & suits and thus began the birth of sexual ambiguity in regards to the usual 'boy/girl' social norms regarding clothing. 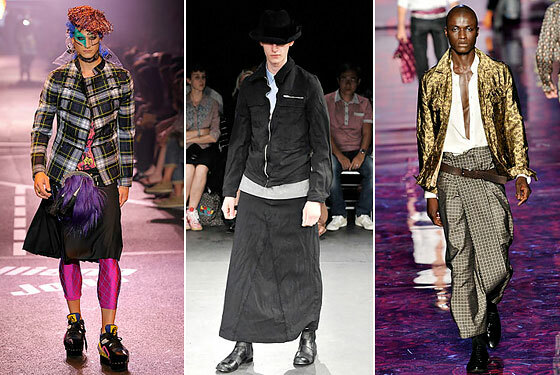 Back in 2008, the eccentric designer John Galliano touted that if YSL can put women in men's suits, he was going to go out on a limb and fashion a man skirt and not just for the Scottish bros! I don't think it took off as well as he'd expected. 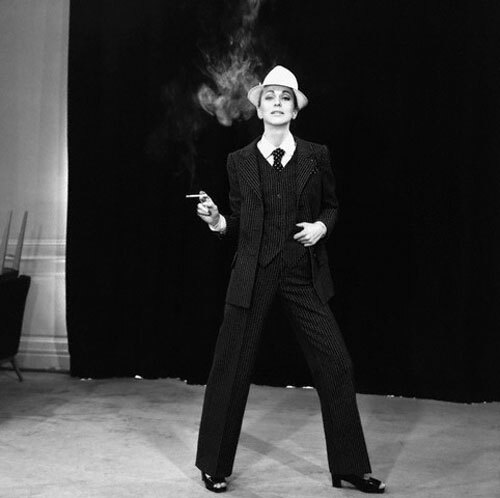 There's just some instances when gender neutrality in fashion has a cut off point dont'cha think?